Last month I was lucky to be chosen as a first-reader for a new Canadian novel as part of the Harper Collins Canada First Look program. 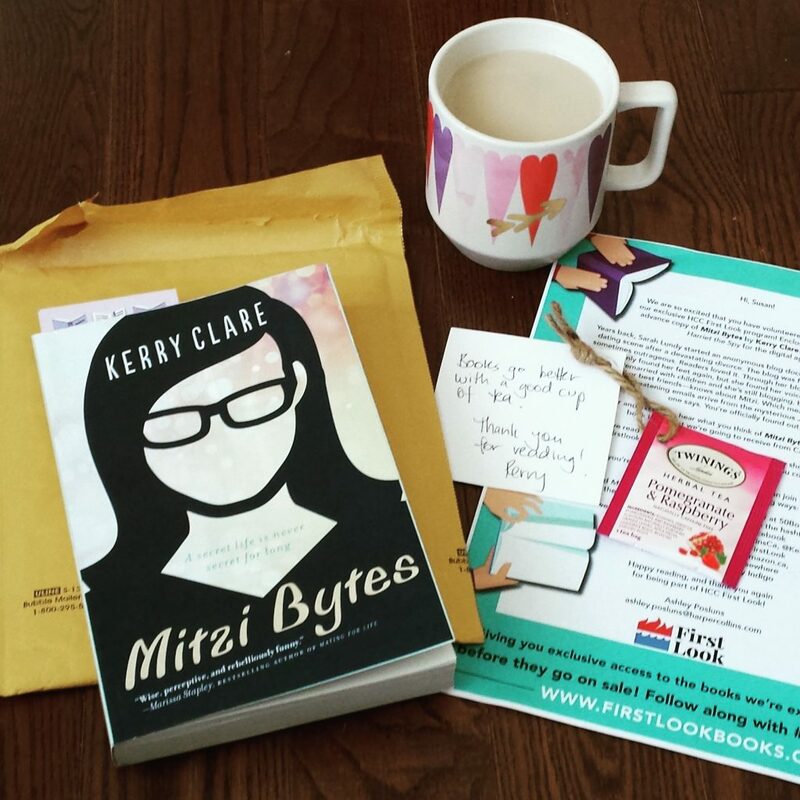 What a delight to read Mitzi Bytes, the first novel by indomitable blogger Kerry Clare whose words and thoughts I’ve long admired and giggled over. And due to this admiration, what a relief that I really did enjoy the book – whew! Fifteen years later, Sarah is happily remarried with children and she’s still blogging, but nobody IRL—not even her husband or best friends—knows about Mitzi. They don’t know that Sarah’s been documenting all her own exploits, as well as mining the experiences of those around her and sharing these stories with the world. Which means that Sarah is in serious trouble when threatening emails arrive from the mysterious Jane Q. Time’s up, the first one says. You’re officially found out. It’s funny to sit down and write a blog about a book about a blogger! But here we go. I’ve not read Harriet the Spy – but a quick internet search and synopsis-read reveals the book’s parallel/homage relationship to Mitzi Bytes, with protagonist Sarah’s blog serving as a modern-day notebook full of wonderings – not always kind – about those surrounding her now that her own life is happy but hum-drum and no longer exciting fodder for blog content. I admire how utterly and absolutely author Kerry Clare captured Sarah’s life as a work-from-home, artistic-sort mom to two little kids of 5 and 7 years. 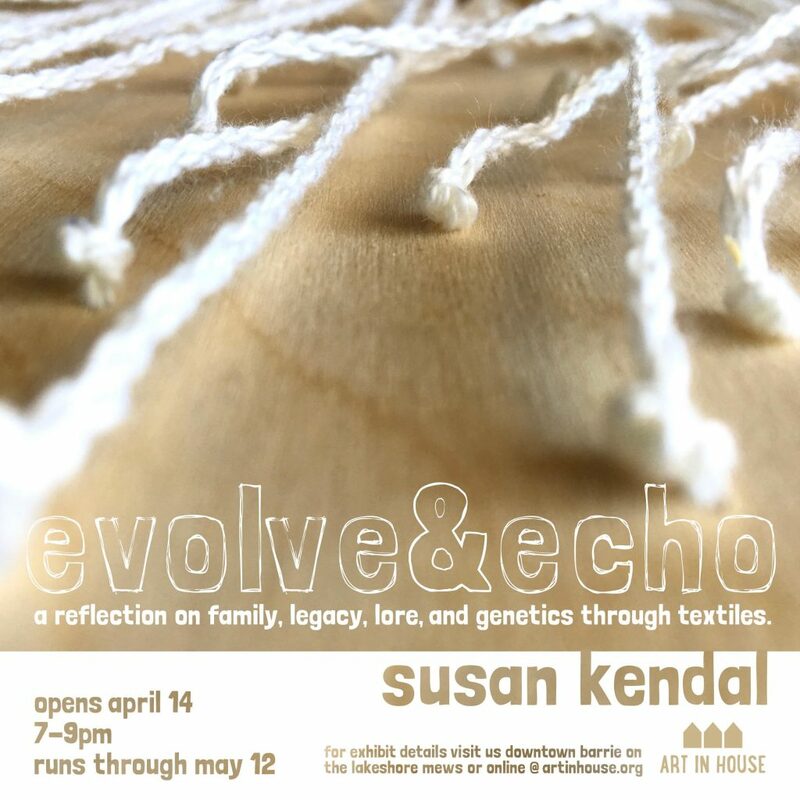 I am just such a human, very much in the throes of balancing mom duties to two young kids, my work-for-pay from home, and my own creative work. I laughed and sighed and felt many feelings of camaraderie with Sarah. I had the sense throughout Mitzi Bytes that Sarah and I would be able to have a cup of tea and be instant kindred spirits. There is no doubt that I am the living, breathing demographic for Mitzi Bytes! I’m glad that Clare didn’t subject her protagonist Sarah to an about-face in personality upon her reckoning. Sarah is stubborn and complicated and lucky through to the end. She’s not an entirely likeable character, but she is utterly relatable – she feels real and dimensional, her inner dialogues like so many I’ve had with myself-as-audience over the years. I loved that Sarah was as much sorry about being caught as she was for hurting anyone she’d observed or portrayed in her Mitzi blog over the years. I couldn’t help but cheer for her in the end! I so enjoyed the inclusion of Mitzi’s “archival blogs” that were well-woven in-between chapters, giving us a sense of Mitzi’s voice and evolution over time. I fact I would have happily read more of them – though to be left wanting more is probably a good thing. I had the urge to go check the Mitzi Bytes blog a number of times while I was reading, only to remember that it’s a fictional blog! It felt like a blog that could/should exist. As someone who’s blogged a bit, sometimes regularly and sporadically of late, I enjoyed the descriptions of blogging now versus in the early 2000s throughout Mitzi Bytes. The ubiquity of blogging today is so different than 15 years ago when there were fewer options and the form was in it’s infancy. 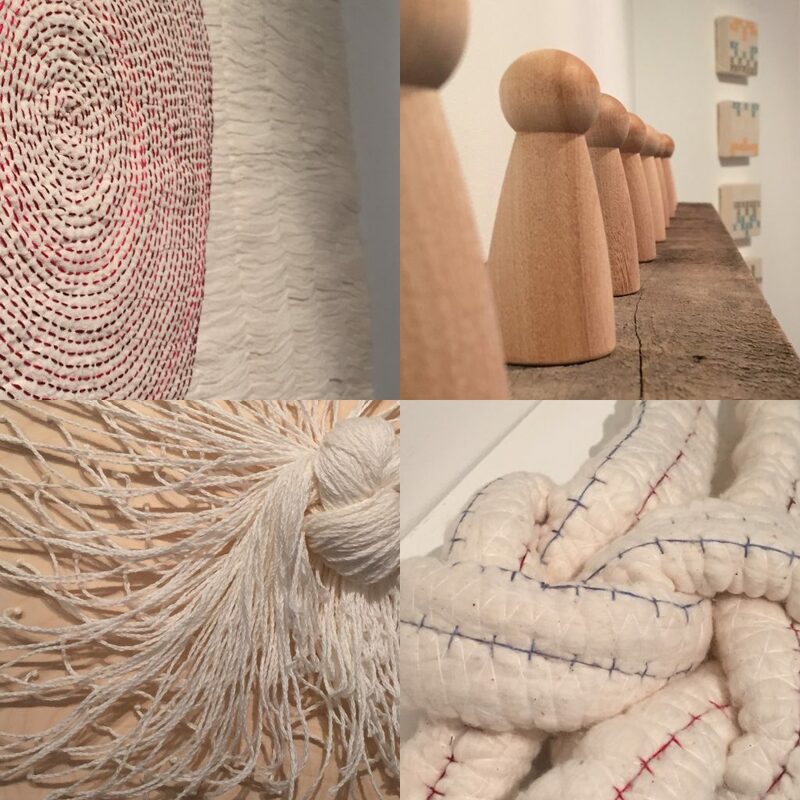 Clare is a master blogger herself – she teaches the art and work of it at university – and it’s interesting to see her thinking, experience, and evolution creep into Mitzi Bytes, giving me a real sense of “now” as I read. 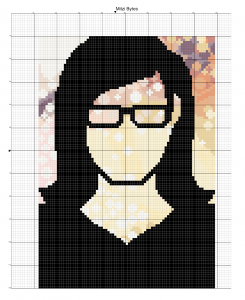 PS: I’ve taken up my practice of cross stitch pattern design again after months away from it. Looking at the Mitzi Bytes cover, it struck me that it offered a great challenge to work with colour gradients. 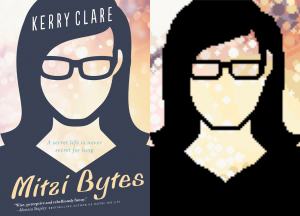 And so crafty readers, I humbly offer up my interpretation of the excellent graphic cover of Mitzi Bytes! If you’re a stitcher and you enjoy this image, you’re welcome to the pattern (download below) – I don’t have time to stitch it up right now, so if you do, please share!